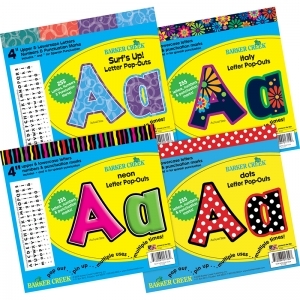 Get four distinct looks in one set with Barker Creek's fashion-forward letter pop-outs! Set includes 1 pack (255 letters & punctuation) of each - 4" Surf's Up, 4" Neon, 4" Italy, 4" Dots. Use for bulletin boards, banners, signs, posters, and so much more! 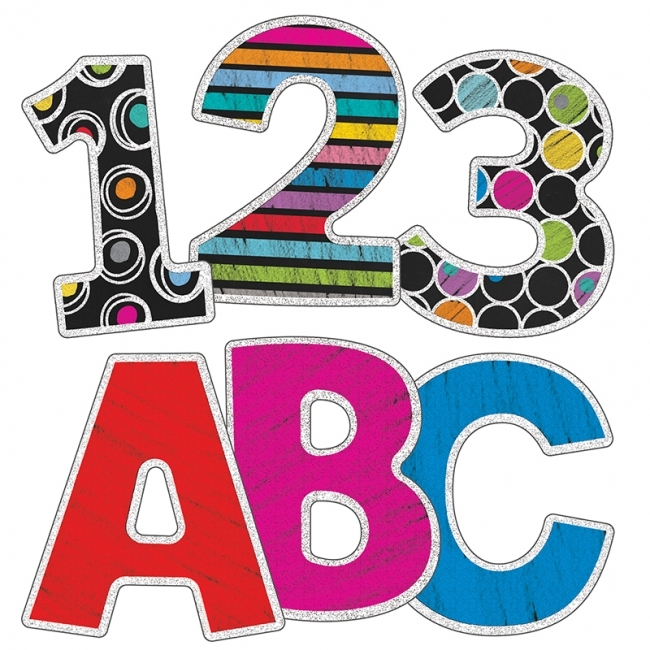 Easily create eye-catching messages and fun classroom displays with Black EZ Letters! 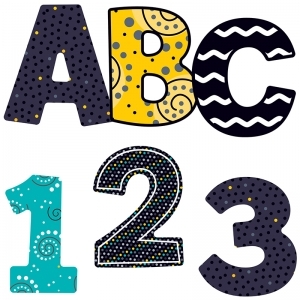 They're perfect for classrooms of all ages and each set includes 76 pieces--52 letters (largest 5" x 4.25"), 10 numbers, and 14 punctuation symbols. 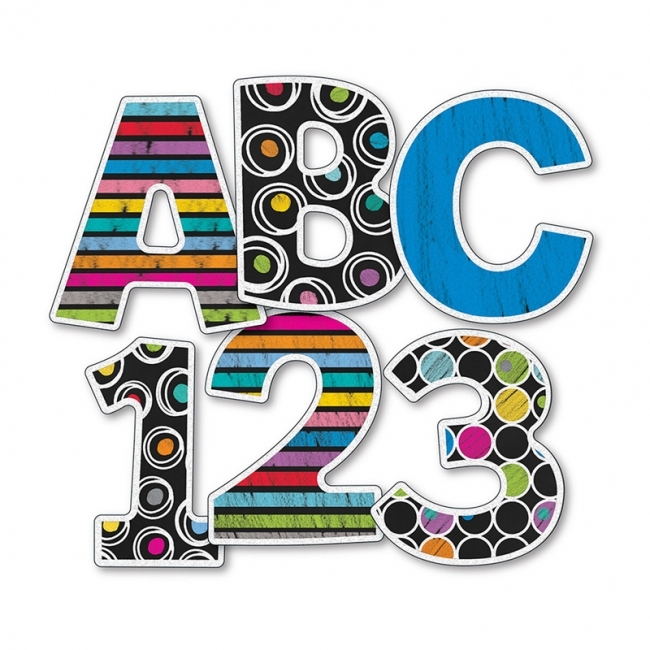 Easily create eye-catching messages and fun classroom displays with these timesaving, prepunched EZ Letters in the eye-catching Boho design! They're perfect for classrooms of all ages and each set includes 76 pieces: 52 letters (largest 5.5" x 4.25"), 10 numbers, and 14 punctuation symbols. Look for other coordinating items in this design to create a contemporary designer classroom theme! Easily create eye-catching messages and fun classroom displays with these timesaving, prepunched EZ Letters in the Color Me Bright design! 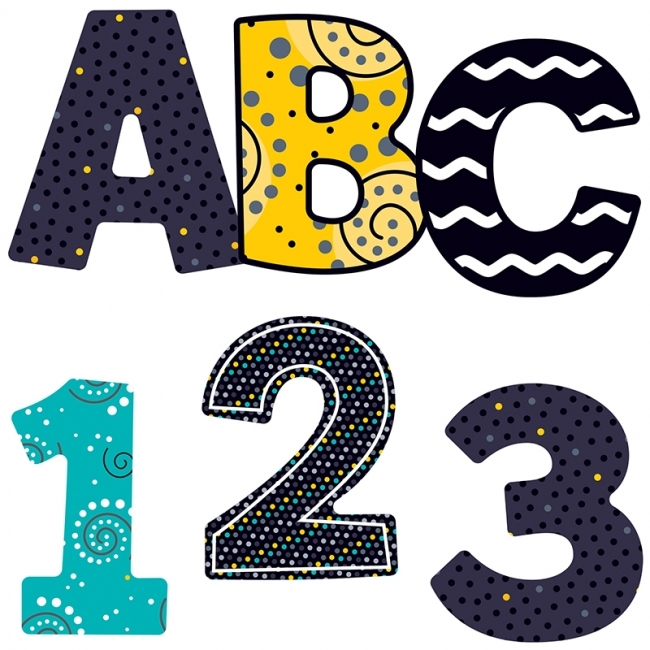 The new, unique designs prove that colorful, fashionable classroom decorations can do more than just decorate–they help motivate students and promote a creative, positive classroom environment while still being versatile enough to stay up all year. 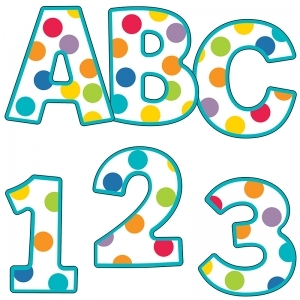 They're perfect for classrooms of all ages and each set includes 76 pieces; 52 letters (largest 5.5" x 4.25"), 10 numbers, and 14 punctuation symbols. Look for other coordinating items in this design to create a contemporary designer classroom theme! Easily create eye-catching messages and fun classroom displays with these timesaving, prepunched EZ Letters in the Black, White & Bold design! 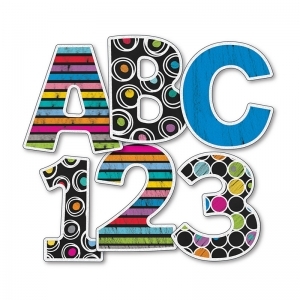 The new, unique designs prove that colorful, fashionable classroom decorations can do more than just decorate—they help motivate students and promote a creative, positive classroom environment while still being versatile enough to stay up all year. They're perfect for classrooms of all ages and each set includes 76 pieces; 52 letters (largest 5.5" x 4.25"), 10 numbers, and 14 punctuation symbols. Look for other coordinating items in this design to create a contemporary designer classroom theme! Easily create eye-catching messages and fun classroom displays with these timesaving, prepunched three inch EZ Letters in the new Fresh Sorbet design! The new, unique designs prove that colorful, fashionable classroom decorations can do more than just decorate—they help motivate students and promote a creative, positive classroom environment while still being versatile enough to stay up all year. They're perfect for classrooms of all ages and each set includes 152 pieces--89 letters, 21 numbers, and 42 punctuation symbols. Look for other coordinating items in this design to create an exciting, cohesive contemporary designer classroom theme! Easily create eye-catching messages and fun classroom displays with these timesaving, prepunched EZ Letters in the Black, White & Bold design! The new, unique designs prove that colorful, fashionable classroom decorations can do more than just decorate—they help motivate students and promote a creative, positive classroom environment while still being versatile enough to stay up all year.They're perfect for classrooms of all ages and each set includes 76 pieces--52 letters (largest 5.5" x 4.25"),10 numbers, and 14 punctuation symbols. Look for other coordinating items in this design to create a contemporary designer classroom theme! 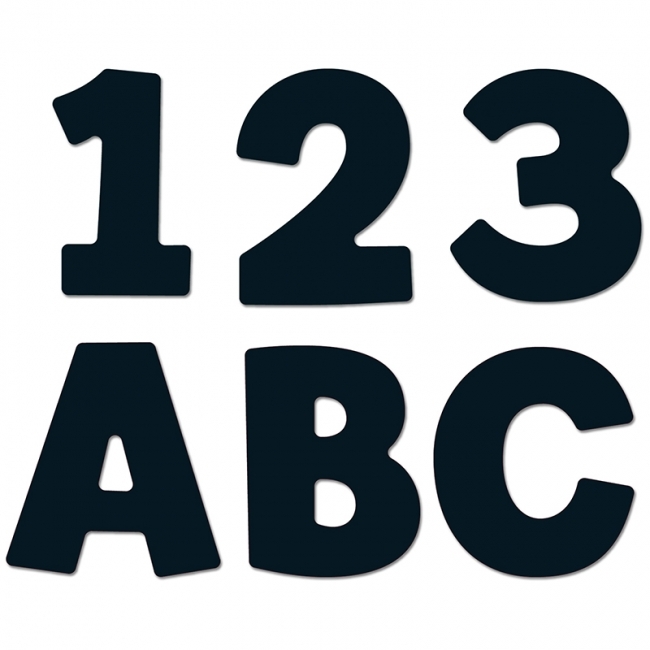 Easily create eye-catching messages and fun classroom displays with these timesaving, prepunched three inch EZ Letters in the classy Black, White & Bold design! The new, unique designs prove that colorful, fashionable classroom decorations can do more than just decorate—they help motivate students and promote a creative, positive classroom environment while still being versatile enough to stay up all year.They're perfect for classrooms of all ages and each set includes 152 pieces--89 letters (largest , 21 numbers, and 42 punctuation symbols. Look for other coordinating items in this design to create an exciting, cohesive contemporary designer classroom theme! 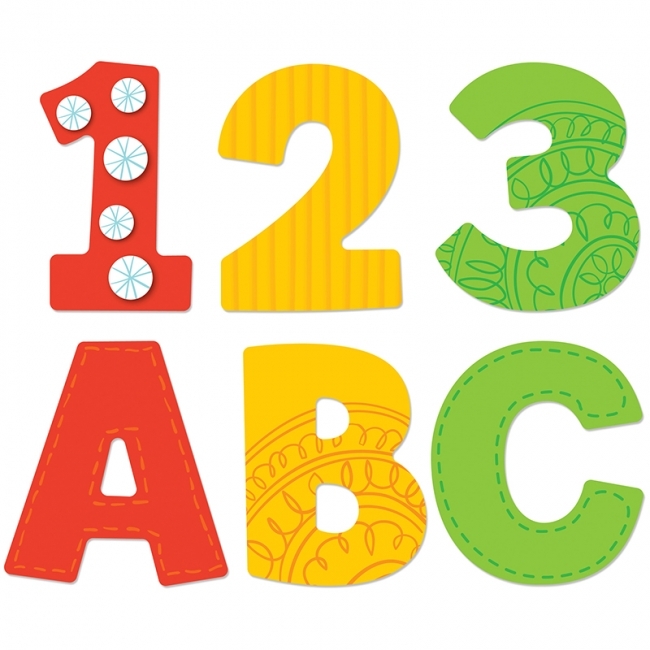 Easily create eye-catching messages and contemporary classroom displays with these timesaving, prepunched 4 inch EZ Letters in the Colorful Chalkboard design! 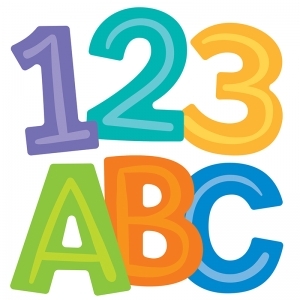 EZ Letters are perfect for classrooms of all ages and each set includes 76 pieces--52 letters (largest 5.5" x 4.25"), 10 numbers, and 14 punctuation symbols. Look for other coordinating items in this design to create a contemporary designer classroom theme! Easily create eye-catching messages and contemporary classroom displays with these timesaving, prepunched 3 inch EZ Letters in the Colorful Chalkboard design! 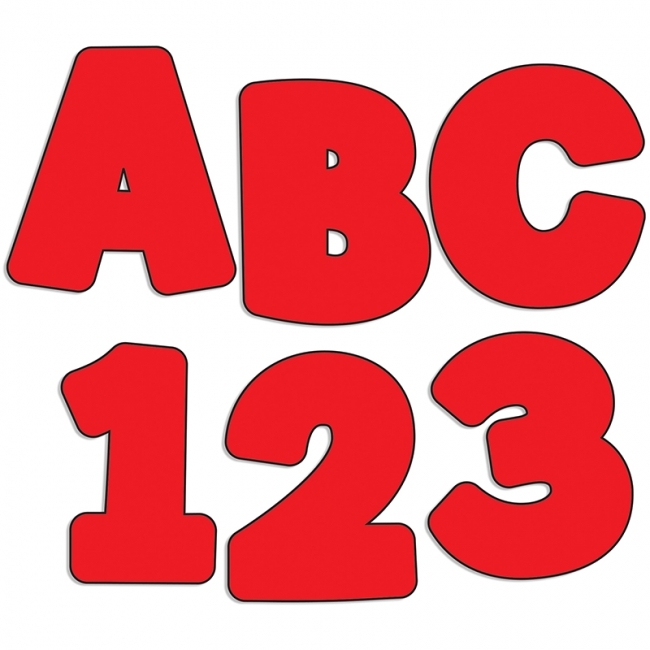 EZ Letters are perfect for classrooms of all ages and each set includes 152 pieces--89 letters (largest , 21 numbers, and 42 punctuation symbols. Look for other coordinating items in this design to create an exciting, cohesive contemporary designer classroom theme! The Stylin' Stripes will add a bright colorful touch to any classroom! Easily create eye-catching messages and fun classroom displays with these timesaving, prepunched four-inch EZ Letters. 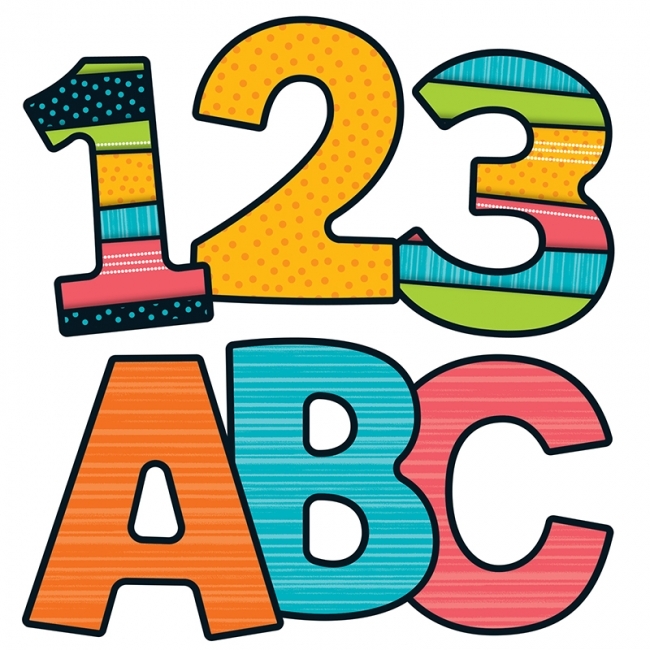 They're perfect for classrooms of all ages and each set includes 76 pieces--52 letters (largest 5.5" x 4.25"), 10 numbers, and 14 punctuation symbols. Look for other coordinating items in this design to create a contemporary designer classroom theme! The Stylin' Stripes will add a bright colorful touch to any classroom! 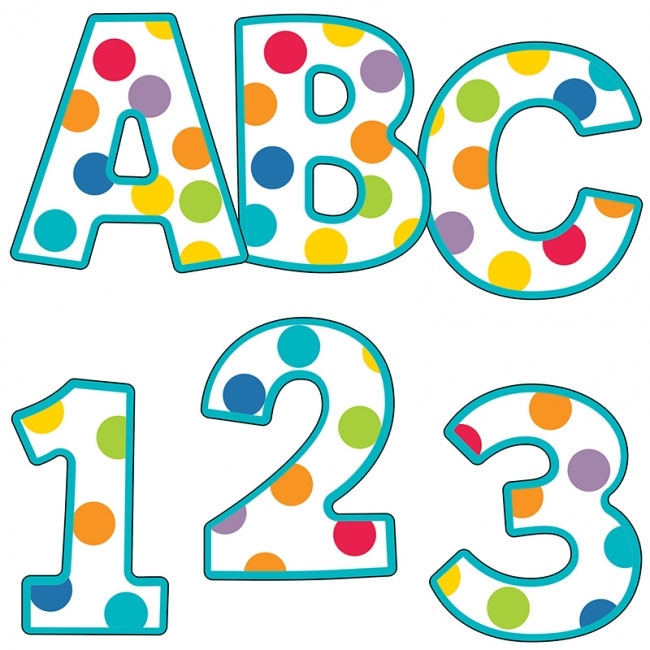 Easily create eye-catching messages and fun classroom displays with these timesaving, prepunched three-inch EZ Letters. They're perfect for classrooms of all ages and each set includes 152 pieces--89 letters (largest 5.5" x 4.25"), 21 numbers, and 42 punctuation symbols. Look for other coordinating items in this design to create a contemporary designer classroom theme! 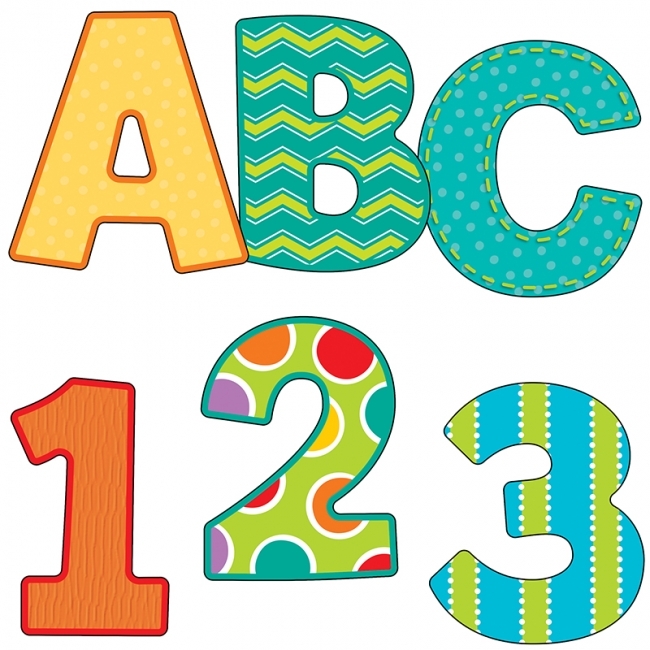 Easily create eye-catching messages and fun classroom displays with these time-saving, pre-punched EZ Letters in the Modern Mix design! EZ Letters are perfect for classrooms of all ages and each set includes 76 pieces--52 letters (largest 5.5" x 4.25"), 10 numbers, and 14 punctuation symbols. Look for other coordinating items in this design to create a contemporary designer classroom theme!